Springtime is all about having some fun and now winter has almost vanished its time to get outside and start having some fun and this should be no different to your vaping habits ditch them custards!!! It’s time for something more lighter,more brighter and for something that really latches on to them springtime vibes and so to get the ball rolling chill out with a refreshing Bellini. 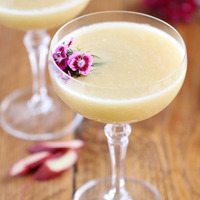 Rhubarb works great with champagne so this simple recipe spotlights how good VT RHUBARB RAW really is and it’s works so well combined with FA champagne and with addition of VT sherbet to add extra FIZZ and a little sweetener to calm the tartness down this is perfect for lazy spring days all the way through to relaxing summer evenings enjoy!! !